Who among us hasn’t dipped our toes in a friends with benefits situation only to find ourselves falling just a little bit for the person we swore was just a temporary thing, or as my friends and I called it in college, something to do. You know how it is. The summer comes upon us, the sun is out, days are longer and you’re feeling good about life. Finding someone to do the horizontal hokey pokey with on those warm summer nights is an added bonus. (I’m talking about single people. You married people need to go get your groove on with your spouse.) Summer flings are great, right? No long-term commitment, just three short months of bliss and then you go on your merry way and I go on mine. Or do I? Author D.L. 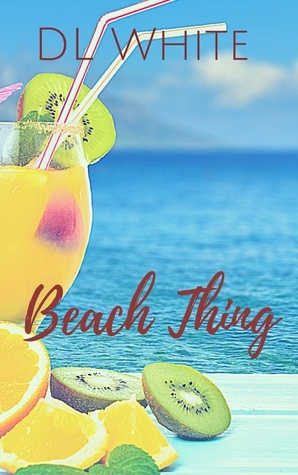 White tackles this very topic in her latest, Beach Thing. Ameenah Porter has left the mean streets of New York behind for a simpler life on Black Diamond Isles. Actually, life in New York wasn’t that mean. The daughter of well-respected restauranteurs, Ameenah has been groomed to take over the family business. However, she’d rather move to Black Diamond into the house her grandmother left her and start her own business on the board walk. Wade Marshall is a super producer for one of the hottest rappers in the game, hopefully not one that insists on shouting his name out in every song he produces though. (I’m looking at your Diddy, DJ Khaled, Rodney Jerkins, etc. Y’all know who you are.) He’s come to Black Diamond to work on some beats while his most important artist, and best friend, Gage Coleman takes a vacation in Jamaica with his family. Wade has never been the long-term relationship man. He can barely tolerate women spending the night and keeps an arsenal of excuses on hand. But the day he bumps into Ameenah Porter coming out of Tikis & Cream, everything changes. I’ve told you all repeatedly that I don’t do romance. Very few authors keep my interest because their story lines are so formulaic, but D. L. White creates great characters and give them even better story lines. Her character interactions feel authentic and not forced. 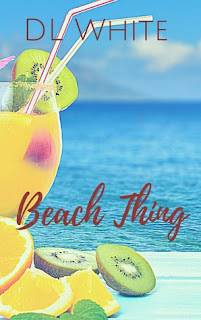 Beach Thing is a perfect read for the beach or otherwise and I’d love to see more from the characters. I’ve already whined to the author about the possibility of a book two or three. Much like Farrah Rochon makes me want to pick up and move to the small Louisiana towns in her Bayou Dreams series, D. L. White has me ready to pack my bags for Black Diamond Isles.